Ein vielseitiger Produzent aus Linz und dem Umfeld von Parov Stelar. Zitat:"Lives and works in Linz/Austria. Just Banks began his musical career in 1994 by founding a local Hip Hop project. Later on he started DJing and took the road from Drum´n´Bass to Techno, House and Breakbeats. By having a fancy for many different genres and playing nationwide gigs Just Banks rapidly gathered experience and his sets are now like a sure shot for the demanding party crowd. 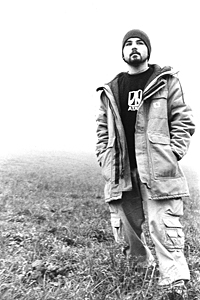 In 2004 he launched the netlabel Comatronic which soon gained a high reputation in the netaudio community and minimal techno scene. With his productions and dj sets being caught in a crossfire of influences, they always represent a well selected and party-approved blend of different styles, tempos and grooves. Just Banks is a long-time musical companion of Marcus Füreder aka Parov Stelar and in 2006 he engaged the talents of the San Francisco based duo Blaktroniks, who came up with the catchy vocals for his first release on Etage Noir entitled "360 Degrees". "